Buenos Aires (VNA) - A Party delegation led by head of the Party Central Committee’s Commission for External Relations Hoang Binh Quan paid working visits to Chile and Argentina from June 27-30 with the aim to intensify Vietnam’s relations with the two South American countries. During his stay in Chile on June 27-28, Quan was received by President Michelle Banchelet, who hoped for the further expansion of economic, trade and investment ties between Chile and Vietnam and for the effective implementation of the bilateral free trade agreement. The Vietnamese official also had meetings with President of the Communist Party Guillermo Teillier and Vice President of the ruling Socialist Party Fernando Krauss Ruz, during which they discussed measures to strengthen the parties’ cooperation through delegation exchanges. As part of his visit to Argentina from June 29-30, Quan had talks with General Secretary of the Communist Party Victor Kot. He thanked the support of the Argentinean people for Vietnam’s national construction and safeguarding, affirming that he will do his utmost to consolidate the friendship, solidarity and cooperation between the two parties and peoples. At a working session between Quan and President of the Republican Proposal Party Humberto Schiavoni, both sides agreed to increase the exchange of delegations and experience in Party building. Schiavoni spoke highly of Vietnam’s economic achievements and its increasingly important role in Southeast Asia. He confirmed that Argentina pays attention to expanding its collaboration with Vietnam in all fields, especially in economy, trade and investment. The Vietnamese official held working sessions with Foreign Minister Susana Malcorra and Deputy Foreign Minister Maria Cristina Boldorini, during which they stressed the importance of realising bilateral cooperation agreements, and exchanged notes on measures to boost economic, trade and investment ties. He was welcomed by President of the Senate Federico Pinedo and Vice President of the Chamber of Deputies Patricia Gimenez. Quan also chaired a talk at the Communist Party headquarters on Vietnam’s socio-economic situation, especially its achievements during the 30-year renewal process. 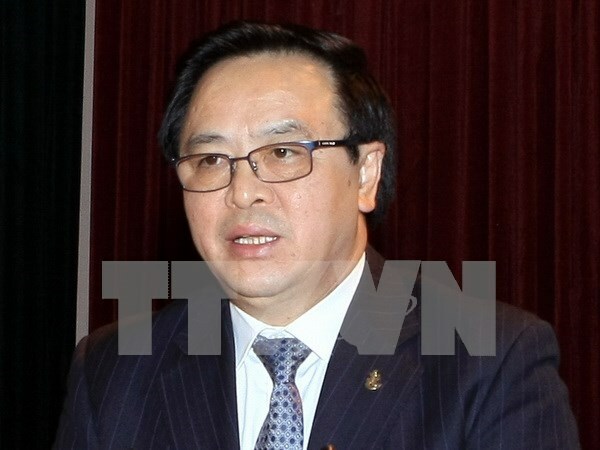 He answered party members’ queries on sovereignty-related disputes in the East Sea, Vietnam’s sovereignty over Truong Sa (Spratly) and Hoang Sa (Paracel) archipelagoes, and its participation in the Trans-Pacific Partnership (TPP) agreement. Vietnam is currently Argentina’s sixth largest trade partner, with two-way trade exceeding 2.5 billion USD in 2015, up 34 percent from the previous year. On June 29, the Argentinean Foreign Ministry issued a press announcement appreciating the Vietnamese party delegation’s working visit.